We face temptations and hazards to our physical health almost every day. Some of these we think and talk about often, such as heart disease and high blood pressure. But do we think enough about what could negatively affect our minds—or more specifically, our brains? 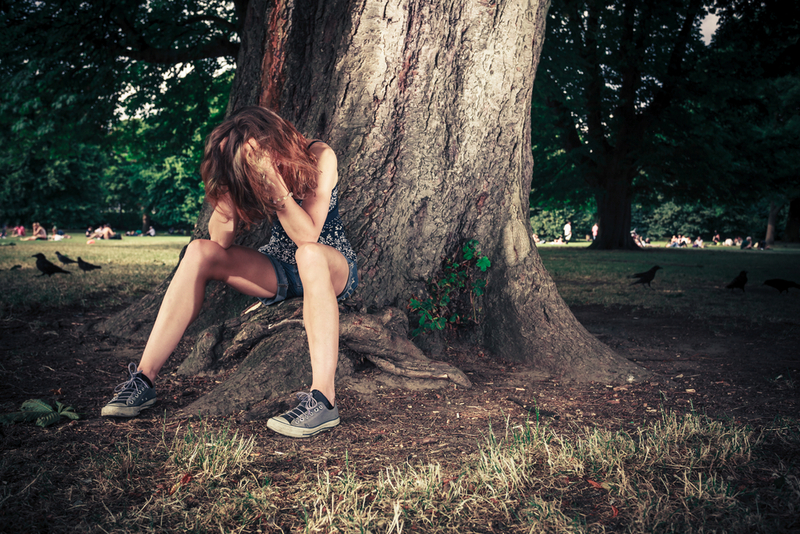 Anxiety, stress, depression, and neurological disorders might fall on our radar more often when it comes to mental health, for example. But—especially as we age—we have another contender to deal with that can affect our brains and nervous system: and that would be stroke risk. We may not think of it so much when we’re younger. Still, it’s nevertheless important to think about as the years go by—and as the years stack up. WHAT IS A STROKE? HOW DOES IT AFFECT HEALTH? What exactly is a stroke? Why should we work on our health to reduce its risk—and how? A stroke is a health event that occurs due to a dysfunction in the transport of blood and oxygen to the brain. As soon as this happens, damage begins to happen in the brain. This affects the rest of the body neurologically, too. If a stroke isn’t treated right away (and this requires professional medical attention immediately), it could be fatal. This is why it’s important to be aware of stroke risk. It’s even more important to work on empowering health in ways that reduce the chances of getting a stroke, too—which can look quite similar to how one might reduce heart disease risk in their personal life. Just like when working on reducing heart disease risk, there are very natural ways to help reduce stroke risk, too. These include lifestyle and diet changes. However, some research-supported, time-tested mushrooms and herbs have been shown they can provide additional help, too. The best category of botanicals to help work against stroke risk are called neuroprotectors. These may also be called nootropics or even nervous system adaptogens. 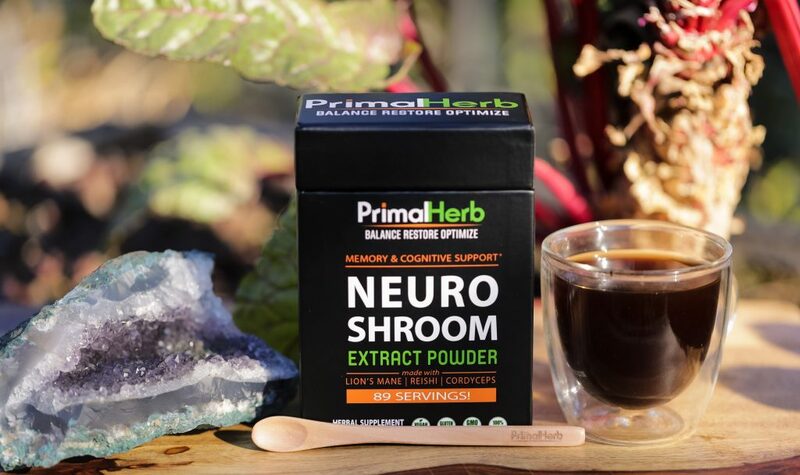 The neuroprotective herbs and fungi listed below number among some of the best candidates for possibly reducing stroke risk. These have revealed the most potential in both tradition and scientific research and may protect the brain and nervous system from stroke and other threats. Keep in mind: these have not been shown to 100% cure, stop, or completely shield against any risk of stroke—only to provide support. If a stroke is suspected, always make sure to go to the hospital, and do not rely on natural remedies. Long used in Asian herbal traditions to strengthen mind and memory, modern science has good news about bacopa for those working to reduce stroke risk naturally. A study in 2012 found that extracts of this plant could reduce stroke’s effects and damages on memory, learning, and focus on test subjects that experienced the event. This is an exciting addition to research and studies already established on bacopa, which shows that it could naturally and mildly enhance mental functions of cognition and memory—and especially benefit those who are getting older. With bacopa, there are far more benefits beyond just simple reduced stroke risk that make the herb worthwhile to explore. An overlooked part of the plant kingdom, clubmosses are full of bountiful health secrets. One species, Huperzia serrata, has had its healing benefits known for quite some time by Asian herbalist traditions. Like bacopa, Huperzia—and more specifically its active compound, huperzine-A—has accomplished some startling feats in the world of research when it comes to stroke protection. One study in 2015 found that huperzine-A could protect against damage due to hemorrhage in the brain, which may occur with stroke. In addition, another study in 2017 showed the phytochemical may alleviate depression caused by brain damage from strokes. A truly amazing and unique plant, clubmoss’s huperzine-A could provide a natural safeguard against the worst fears of stroke, though more research is needed. A parasitic, bizarre mushroom with a unique backstory, cordyceps is nevertheless revered as one of the most powerful health mushrooms in the world. It may be better known for improving athletic performance and boosting energy. Still, cordyceps is one of the most powerful nootropic mushrooms too, studies suggest. When it comes to neuroprotection for stroke, cordyceps could be a frontrunner. A 2011 study found it could help reduce inflammation in the brain that occurs after a stroke, thereby protecting against damage or disastrous health effects to the brain. In addition to cordyceps’s other benefits for mental energy and cognition, its potential stroke risk support makes it a mushroom worth keeping close. No herb or mushroom has a better reputation for improving brain function than the proud and lordly lion’s mane. It may even be considered the most famous natural nootropic discovered thus far. But do these neuroprotective benefits extend to the sphere of stroke protection? Very possibly. A 2014 study showed lion’s mane extracts could stop damage and destruction of neurons following a stroke-like event. It also appeared to stimulate the growth of completely new neurons, making it more than a top-notch neuroprotector. Bacopa, clubmoss, and cordyceps all may have their unique benefits to the brain. But lion’s mane may truly be king of the jungle when it comes to stroke protection. Reishi mushroom is truly the jack-of-all-trades when it comes to medicinal fungi. It’s exalted by both folk use and science for boosting immunity, reducing cancer risk, and much more. Like many other healing mushrooms, reishi is known for neuroprotective effects. There are also many studies connecting it to possible stroke protection, too. This includes a 2014 study establishing some impressive effects from reishi. In particular, it both protected against the negative impacts of stroke in advance and also helped the brain and body heal from a stroke’s effects afterward. Not to be overlooked, reishi mushroom isn’t exclusively an antioxidant immune-booster—it’s also a stroke-protective healer, and the top in its field. While not quite nootropics or neuroprotectors, there’s a lot that can be said for antioxidant-rich herbs. These can aid and support one on the journey towards reducing stroke risk and improving overall brain health, just in a different way. After all, antioxidants are also potent anti-inflammatories. They can fortify the immune system, too. This may be of huge help in healing inflammation that takes place before and leading up to—or even after—a stroke event. Just like neuroprotective botanicals, the following herbs cannot completely stop any chance of a stroke—they’re only nutritive and supportive. Only a doctor or hospital can help properly treat stroke. Could the star herb of Ayurvedic Indian tradition be helpful to brain health and stroke protection? The research is saying yes, it could. A 2015 study made the interesting observation that antioxidant-rich ashwagandha extract could help stroke issues in multiple ways. On the one hand, its effects strongly suggested it could reduce the risk of stroke from happening. It could also be used to treat stroke if it had already occurred, mostly by healing against the inflammation and oxidative damage it caused. Ashwagandha is recognized more for ramping up immunity and energy. 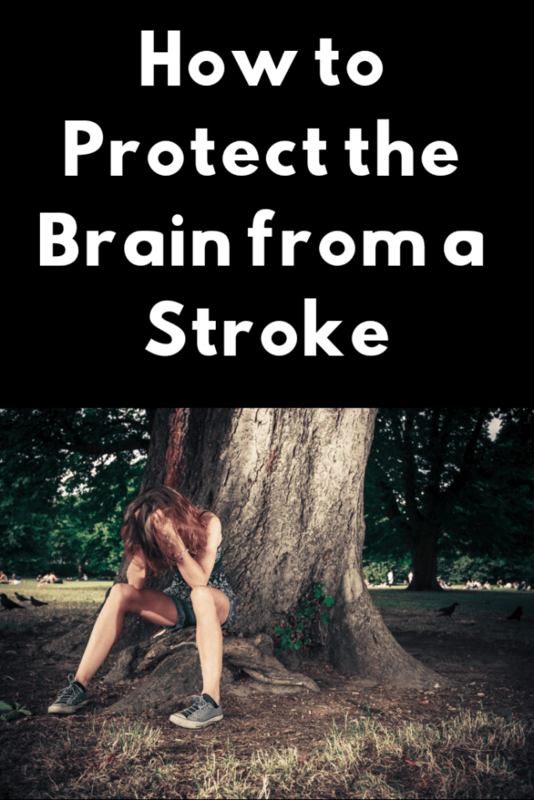 Still, people won’t want to be without it when it comes to stroke risk. This vining, pea-like plant has been used as a medicine for thousands of years—but mostly for immunity and fighting illnesses like colds and flu. But research on how it helps reduce stroke risk is quite shocking. A 2012 study showed patients who experienced stroke had better recovery and improvement of brain function taking astragalus compared to patients who simply took placebos and no astragalus. Years later in a 2016 study, the herb helped with issues of low energy and fatigue in subjects who had experienced a stroke. 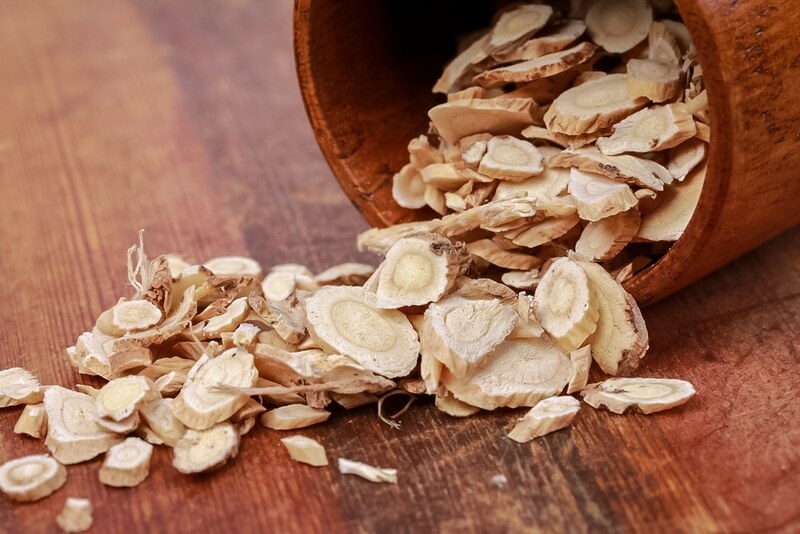 Could astragalus be helpful in the protection and treatment of stroke? Very likely, though the evidence thus far shows more studies are needed. The bitter root of this burry plant is quite nutritious and well-known for antioxidant and immune-supporting properties. People may not expect that this simple food and healing herb could also be so useful to the brain. Burdock’s potential as a neuroprotector against damage and oxidative stress in the brain was revealed in this 2014 study. Such effects could, if kept up, reduce stroke risk. A 2017 study also found that arctigenin specifically, a phytochemical in burdock could protect against damages from stroke as a powerful antioxidant and neuroprotector in extract form. Before writing off burdock as bitter or unpleasant, try to be open-minded to its mind-protective benefits. A fascinating golden-black fungus, chaga has a worldwide reputation for healing benefits that are only rivaled by one other mushroom—the revered reishi. Compared to reishi, however, chaga doesn’t have nearly as much research supporting its usefulness for stroke prevention or even treatment. Still, chaga is known to be neuroprotective. Plus, there’s one study in 2017 that could eventually change this. In the study, a compound called inotodiol was extracted from chaga fungus. This extract was found protecting tissues from damage due to lack of oxygen, which occurs during a stroke. Though chaga needs more research, its future as a natural stroke-protection candidate is nevertheless quite strong. Just like chaga, maitake needs more research before being considered or proven helpful for stroke. In this category, other fungi like reishi and cordyceps have it beat. All the same, current research on how maitake could be capable of reducing stroke risk might still open new possibilities in the future. For one, maitake mushrooms are adaptogens which are very helpful in supporting the body’s ability to adapt to inflammation which can cause a multitude of issues including stokes. Though it’s not yet connected to direct stroke protection, that’s not to say future research won’t uncover such a connection. Nootropics and antioxidants number among some of the best allies for reducing stroke risk naturally—in addition to diet, lifestyle changes, and doctor recommendations, that is. But, since stroke is a risk that is so often associated with aging, it’s best not to forget to associate the ultimate herb for aging with helping stroke risk, too. That herb would be he shou wu. 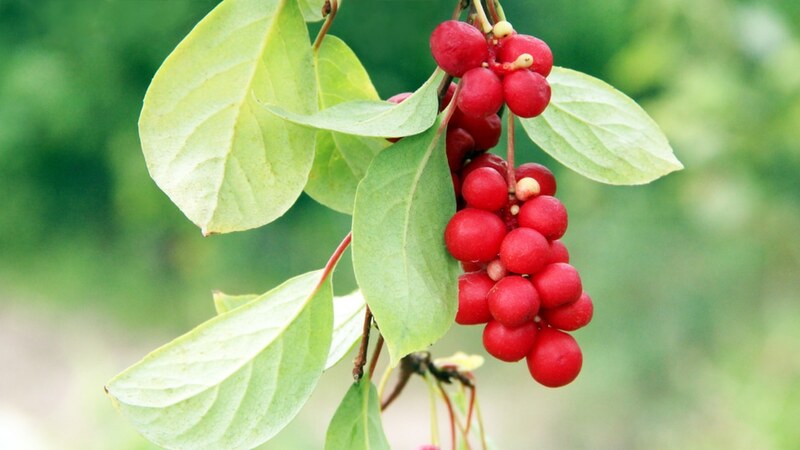 In fact, he shou wu (Polygonum multiflorum) is world-renowned for both neuroprotective AND antioxidant effects, and both in the worlds of science and traditional herbalism. In one 2014 study, use of he shou wu extract appeared to have very strong protective effects against the occurrence of a stroke. It also brought a halt to damage that a stroke could inflict on the brain. A 2013 study also found the ancient herb of old could encourage regrowth of neurons in the face of and following damage from stroke—not unlike lion’s mane. 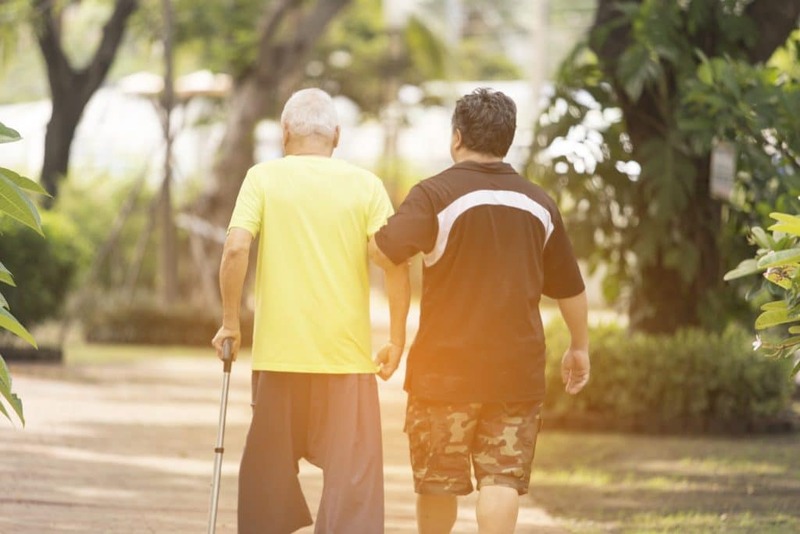 Along with research’s impressive list of neuroprotectors and antioxidants to help keep down stroke risk, including he shou wu in the mix may be the perfect icing on the cake. Remember: using herbs and mushrooms to help stroke risk and protection is nothing without the right lifestyle and diet choices. To explore more, find the herbs and mushrooms in this article in some of our best formulas. PLUS ORGANIC AGED & PREPARED HE SHOU WU containing 100% he shou wu extract.